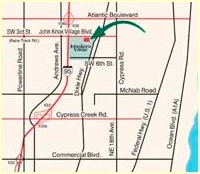 John Knox Village in Pompano Beach, Florida has provided a caring and nurturing environment since 1967 for thousands of seniors who understand that quality care is required to live life to its fullest rather than merely survive. 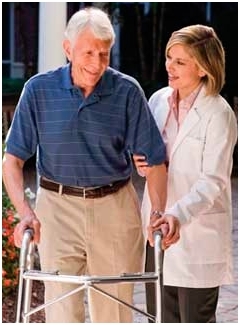 Choosing a nursing home is often a difficult decision that is made during a time of uncertainty. At John Knox Village Health Center you can trust in our long history of excellent services, caring and competent professionals and a forward thinking approach. The Health Center has been and continues to be an integral part of the John Knox Village community. The John Knox Village Community consists of Extra Special Persons serving Extra Special Persons. If you are an Extra Special Person we welcome you and your family to our community. Whether for rehabilitation after a hospital stay, or short, long-term, or memory disorder care, the staff of the John Knox Village Health Center is committed to making your experience as pleasant as possible by providing excellent services and comforting nurturing support. John Knox Village of Florida, Inc. is dedicated to providing a protective, supportive environment in which our Residents may thrive as their physical, emotional and spiritual well being is addressed. Copyright 2011 John Knox Village of Florida, Inc.